I love the versatility of black and white: depending on the styling, this combination can exude anything from classic to edgy to mod. 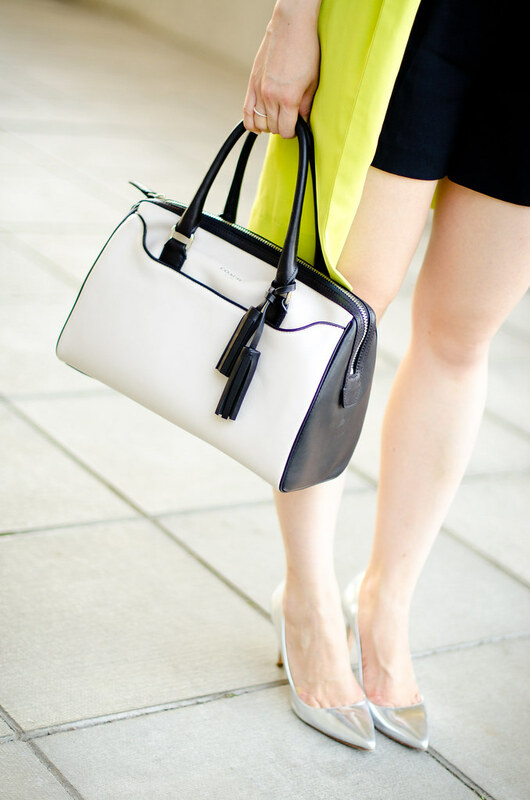 I especially love the union when it comes to accessories (see here), and this new satchel is no exception. I’m looking forward to wearing it with a plethora of looks this fall, and it’s also proven to be the ideal transition handbag with its perfectly balanced colour story. That’s what I’d call a statement jacket, the color is amazing! And the shorts fit you so perfectly, great look! Perfect, as usual! Love the touch of color. I love the colour of the coat. I think you did a great job pairing it with a black and white outfit. Super classy and chic. I really like this look. I would have loved to see it w/o the coat. This look is perfection from head to toe! The bag is beautiful, and so are the heels. I’ve noticed they have sold out! I should have jumped on them when I could! Amaaaazing look. Love everything you are wearing! Nice bag! I like the black and white! Ah, Jen this is AMAZING! 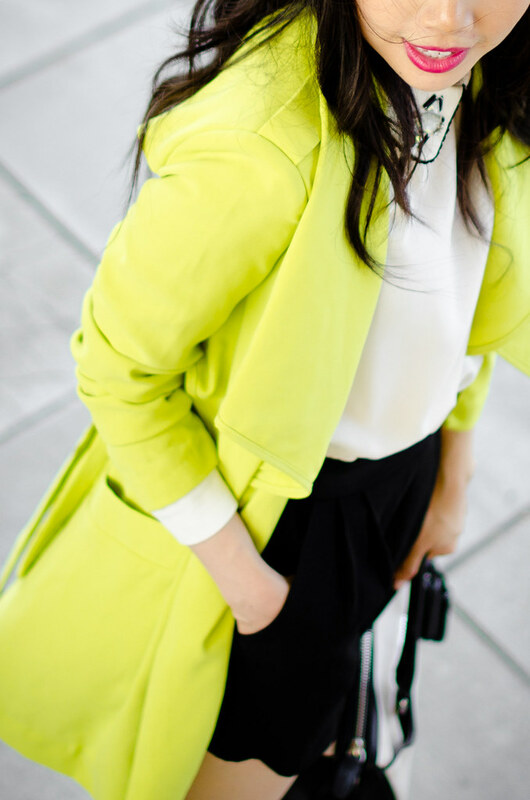 That jacket is incredible on you, you absolutely rock the neon chartreuse color! And that bag… sigh! It’s gorgeous! xo! I’d love if you checked out my blog! !